May is one of those special months for me. We’re edging ever closer to the official start of summer, and it’s the time that waterparks start to open for the season. Last year, our family went to Dollywood’s Splash Country. If you’ve never been, it’s a waterpark experience like no other! Nestled in the mountains, you’re surrounded by forested areas. The atmosphere is light and carefree, and it’s super family-friendly. When you first come to the park, you’ll notice parking is easy and painless, and it’s only a quick walk to the ticketing center. As you enter, you’re welcomed by the lazy river, a 1,500-foot channel that takes you on a relaxing float through the water park. Lean back on the inner-tube and enjoy the scenery around you. 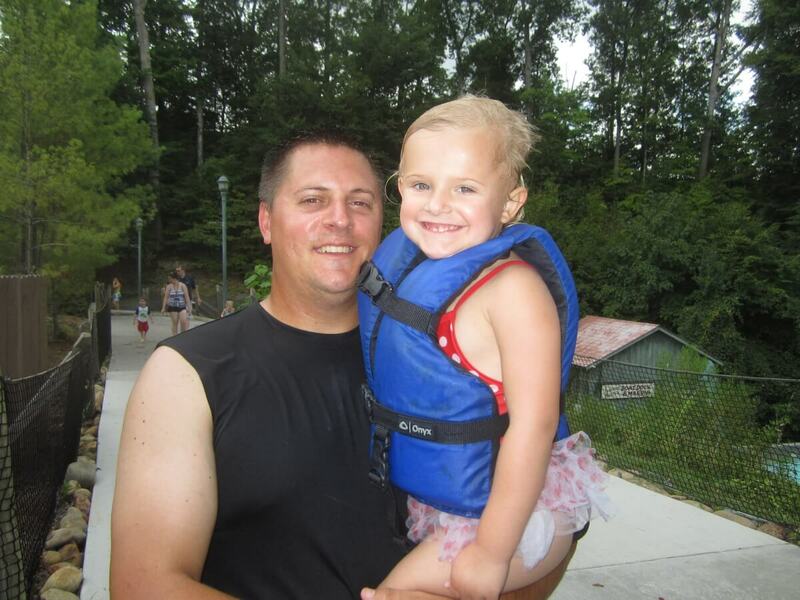 Since there are no height restrictions on the float trip, you can take your little ones with you. They just need to have their lifejacket on. There is also a huge 200-foot waterfall to keep you cool. Our family spent a lot of time in the wave pool. It’s a 25,000-square-foot pool where you and your kids can get into adult and child inner tubes and ride the waves. They also have seating in shaded areas and canopies/retreats around the pool area. The best part of this beach is there’s no sand to clean up afterward! It was a big hit with the family, and especially our daughter. 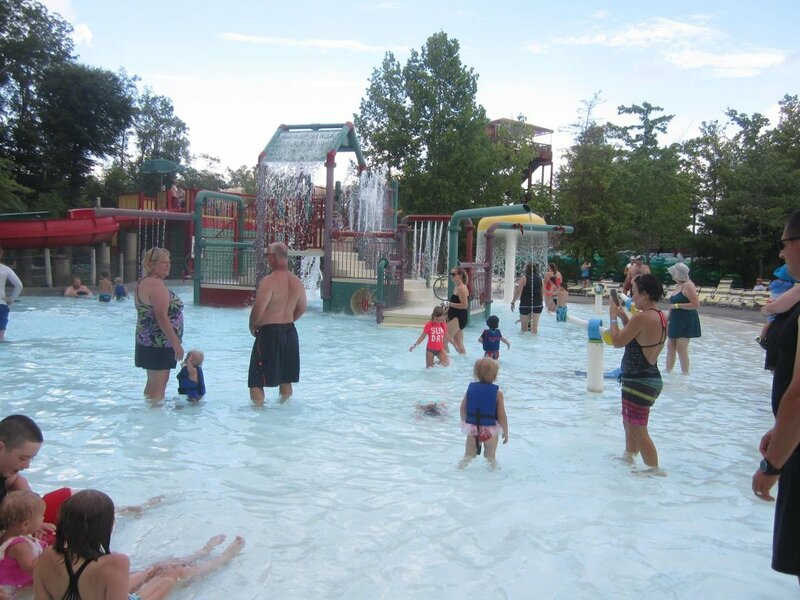 Another great attraction at Dollywood Splash Country is the Little Creek Falls children’s pool. Complete with slides, a tunnel, water jets, and other fun activities, this is sure to keep your little one occupied for a while. Since it is a pool and not a splash pad, you can watch your kids play while you chill in the water. Or, you could just try to maneuver the water jets to spray your kids. 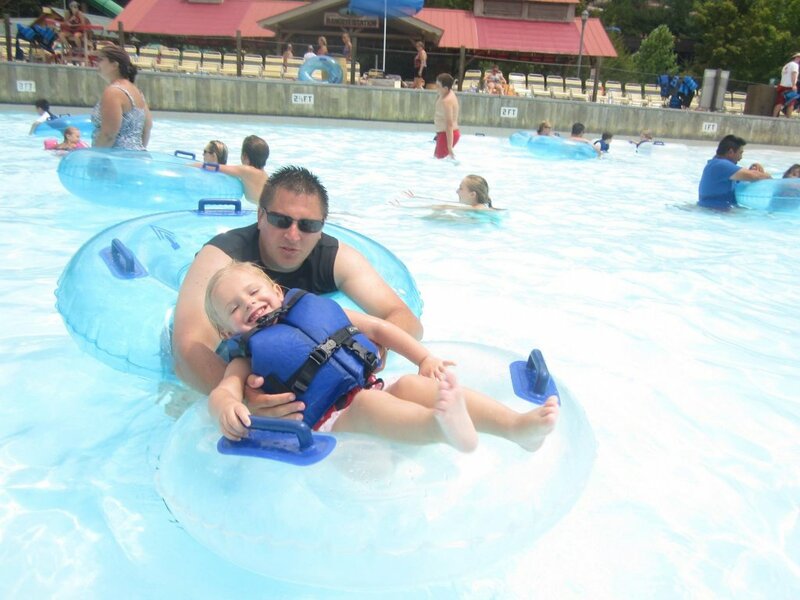 Dollywood’s Splash Country has a few raft slides that are perfect for families. Our daughter was about 36 inches tall when we visited, and we were glad to have her experience some of the bigger rides. Big Bear Plunge will send you down a “cliff” into a pool area. You’ll travel through darkened tunnels and bends. 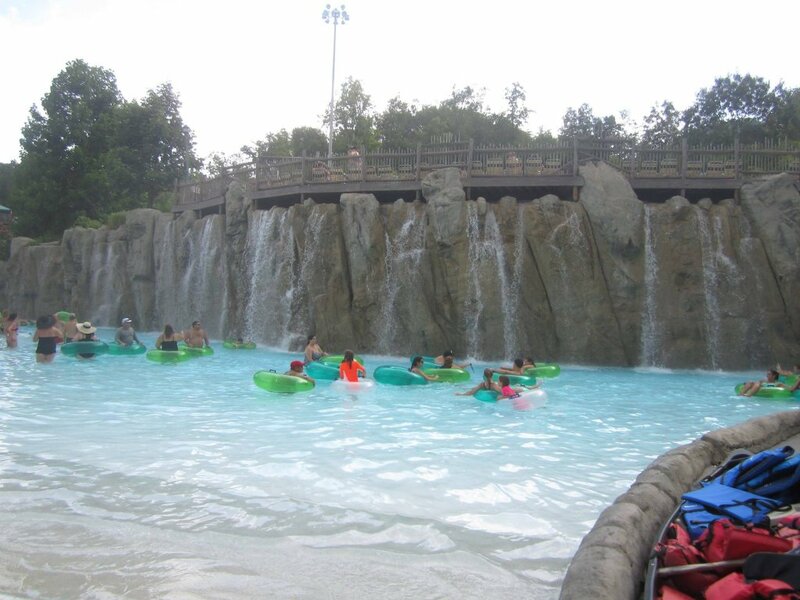 Raging River Rapids is a 700-foot ride that is sure to soak all of the occupants on the raft. Some other attractions you’ll want to check out include The Cascades and Bear Mountain Fire Tower. The Cascades is at the top left side of the park and features 25 different types of interactive elements alongside an 8,000 square foot pool. Bear Mountain Fire Tower has a giant bucket holding 1,000 gallons of water ready to unleash to guests below. There are also a bunch of slides and water cannons to keep kids engaged. If you’re ready to start your Dollywood’s Splash Country Adventure, make sure you look into the TimeSaver H20 pricing. It’s great if you don’t have small kids and want to try some more daring and adventurous rides, but don’t want to wait in line. It will reserve your space in a virtual line. The Premium TimeSaver option cuts the wait time down even further. Another thing to check out are the ticketing specials. Often you can get a deal if you package up with Dollywood. We had a great waterpark adventure while we were there. I hope you do too! 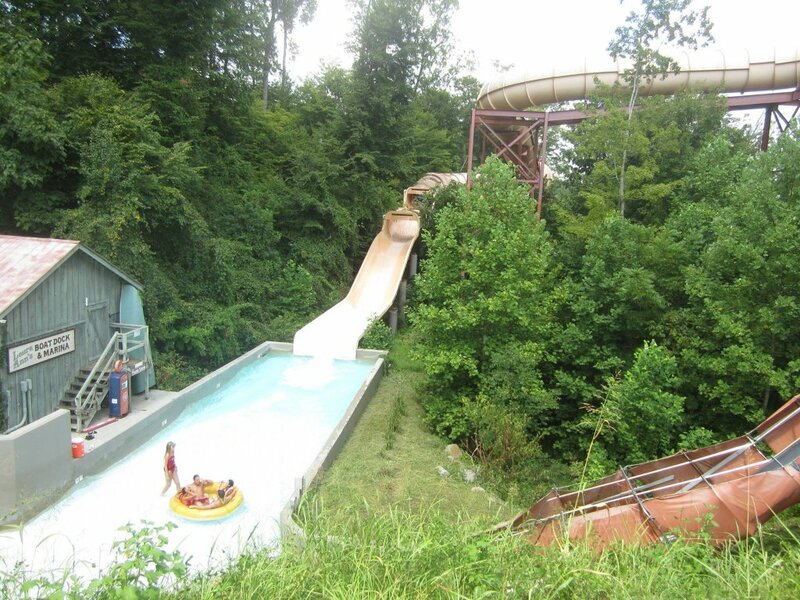 Have you been to Dollywood’s Splash Country before? What was your favorite part?